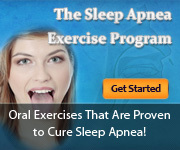 What Are The Major Side Effects Of The Various Types Of Sleep Apnea Surgery? If you are thinking of getting surgery for your sleep apnea, you also have to put into consideration the major side effects of these surgeries. Like all types of surgery, there are risks involved. You may not know what you’re getting yourself into. True, these types of surgery have had success in eliminating the symptoms of sleeping disorder. However, it is not a hundred percent. You may very well spend a lot of money on something that will not work for you. A lot of people have made this mistake, and a lot have paid the price. Below, you will find the different surgeries and the major side effects that come with them. Aside from the risks involved after surgery, there is no certainty that any of these surgeries will work at all. There is still a chance that these surgeries will not work at all. In addition, the cost of surgery can prove to be astronomical. You can very well spend thousands of dollars. Before you take the option of surgery, be sure to discuss all the risks involved with your doctor. It will also be best to get another professional opinion.